Ah, Spring and Easter season in Savannah! Barring any miraculous astonishments, it’s the perfect time to stroll through a cemetery. Bonaventure is one of my favorites. Since Savannah is my hometown, I can remark to my companion about the interred. Beside near relatives, there are notables, friends and acquaintances – “he owned the restaurant where…, he fit my shoes when I was small…, she used to live on the corner of _ and _,”and so on. 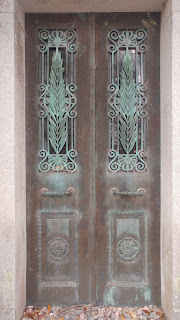 In addition to marveling at the historic tombs, visitors from out-of-town usually seek out the resting places of folks like JohnnyMercer, Conrad Aiken, Jack Leigh, Josiah Tattnall, Sr. and J. Tattnall, Jr., Hugh Mercer, James Neill, Edythe Chapman, Marie Scudder-Myrick, Edward Telfair and F. Bland Tucker. There’s little Gracie Watson – departed at 6 years – who probably wouldn’t be known by many if not for the charming memorial at her tomb. Her grave is now enclosed by a sturdy fence to keep visitors at bay. 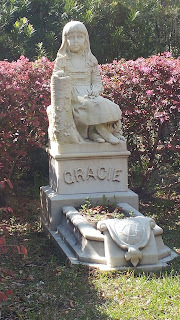 One of the four original castings of “The Bird Girl”, aka “Little Wendy”, – formerly at Bonaventure and featured on the cover of John Berendt’s Midnight in the Garden of Good and Evil – was moved to the JepsonCenter for the Arts for the same reason that Little Gracie is behind bars. Speaking of which, the cemetery used to be a quiet place suitable for personal reflection on life, death and the chief end of man. That changed a lot with the publication of Berendt’s novel. “The BOOK”, as Savannahians know it, brought instant notoriety and a steady stream of visitors – especially in spring. Long before Bonaventure became a destination for ghost tours, the naturalist John Muir spent six nights sleeping among the tombs. He declared it safe and inexpensive in comparison to other accommodations of the day. It would still be inexpensive if the cemetery didn’t close at 5:00pm. 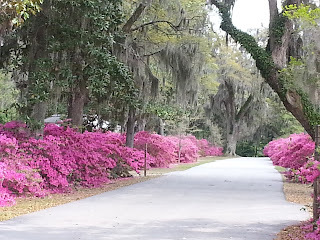 Here are some of my snapshots of Bonaventure Cemetery and of what grows behind that garden wall. 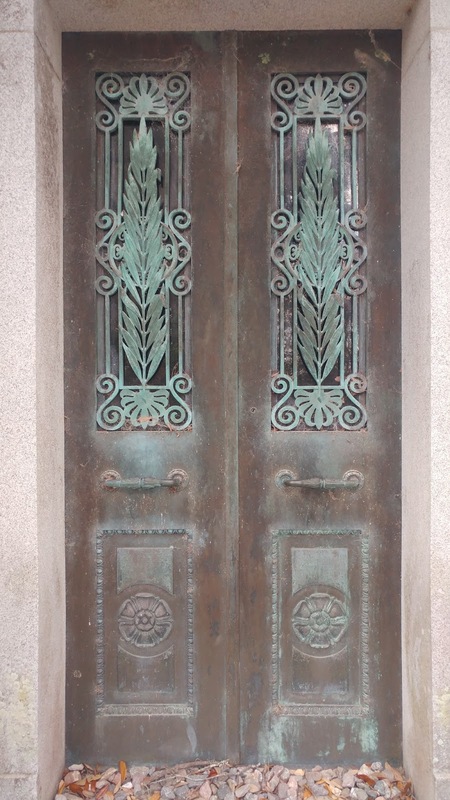 Have you visited Bonaventure Cemetery? We'd love to read your impressions. Comment and tell us!